Anyone else with me when I say I can’t stop drinking hot chocolate at this time of year? There’s just something so comforting about its rich creaminess, particularly when it’s cold outside. 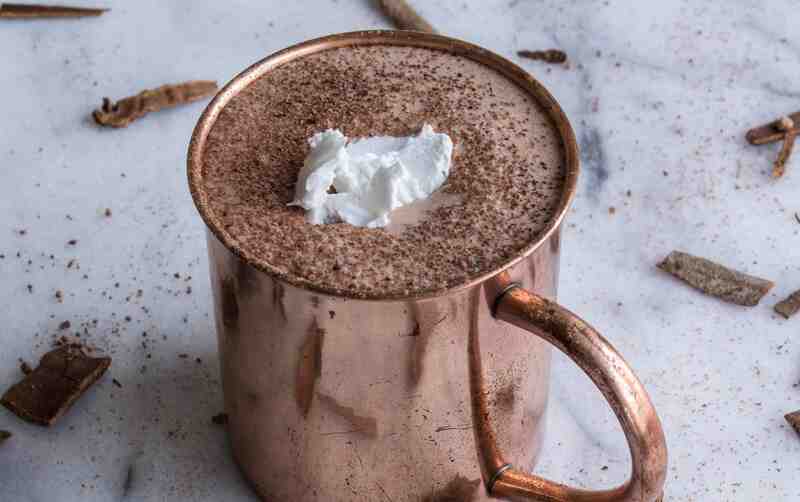 Weirdly, I was never a big fan of hot chocolate, mainly because I didn’t like dairy-based drinks growing up. 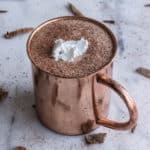 It wasn’t until I turned vegan that I developed a love of creamier drinks, and this DIY Vegan Hot Chocolate is therefore a godsend! Not only is this recipe vegan and gluten-free as always, but it’s made with whole food ingredients. There’s so much added sugar in most of the drinks we buy that making your own is a great way to minimise this and up your dose of nutrients! 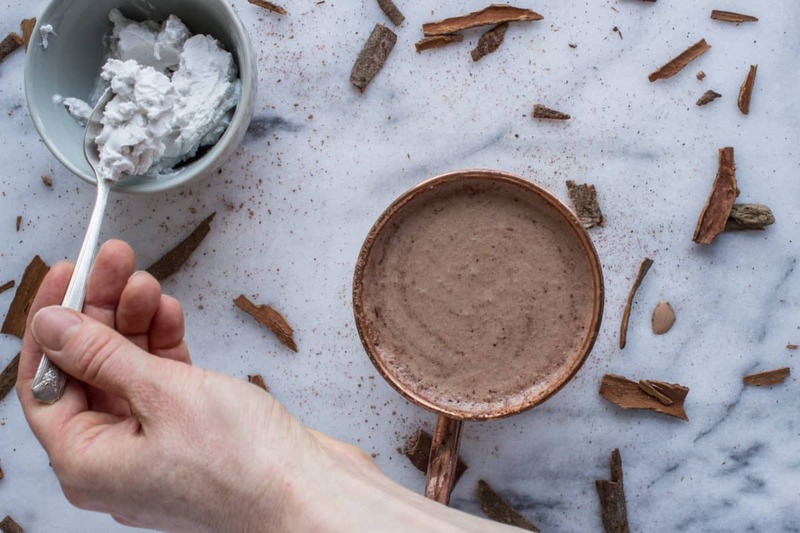 This DIY Vegan Hot Chocolate combines raw cacao with cinnamon, Brazil nuts, dates and plant-based milk. It’s that simple, but it’s still absolutely delicious. You’re getting a good dose of various nutrients in this drink, including selenium from the Brazil nuts. Raw cacao supplies iron and magnesium, and the dates provide fibre. The plant-based milk and nuts also contain healthy fats to keep you warm over the colder months! As with all my recipes, you’re welcome to customise as you see fit. It can however be tricky to get the right balance of flavours with hot chocolate. Therefore, if you do stray from the recipe I recommend only making minor changes, so that you don’t change the flavour profile too much. If you prefer a milkier, less strong cup of chocolate then feel free to use more milk. Likewise, if you prefer a really sweet drink, feel free to add another date or two to the mix. One important point to note is that you must use a high speed blender for this recipe, and blend until the drink is completely smooth. If you don’t, you’ll likely end up with lumpy hot chocolate, which is not fun. Trust me. 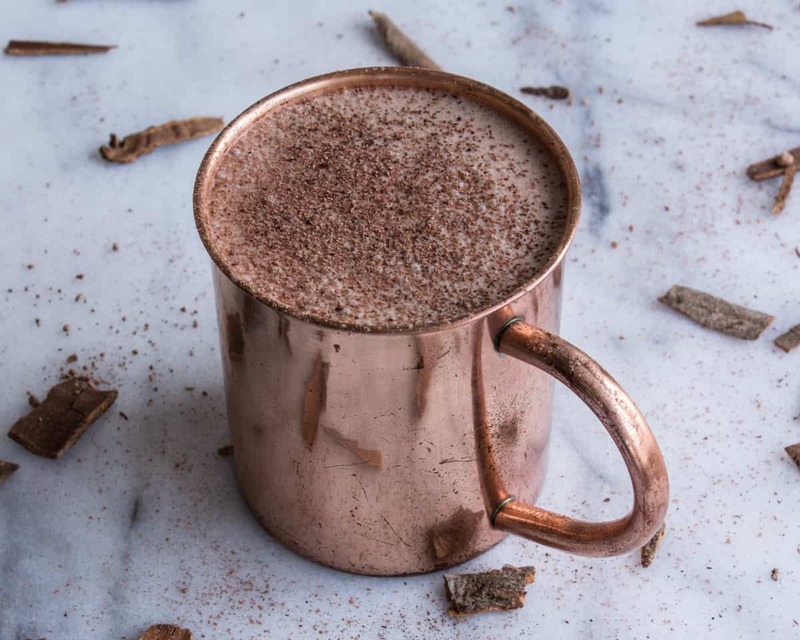 This simple but delicious vegan hot chocolate contains only 5 whole food ingredients and takes minutes to make. It's also surprisingly good for you! Blend all ingredients together in a high speed blender until frothy and really smooth (about 1 minute). Pour into a small saucepan and heat (stirring regularly) until warm. Serve immediately! 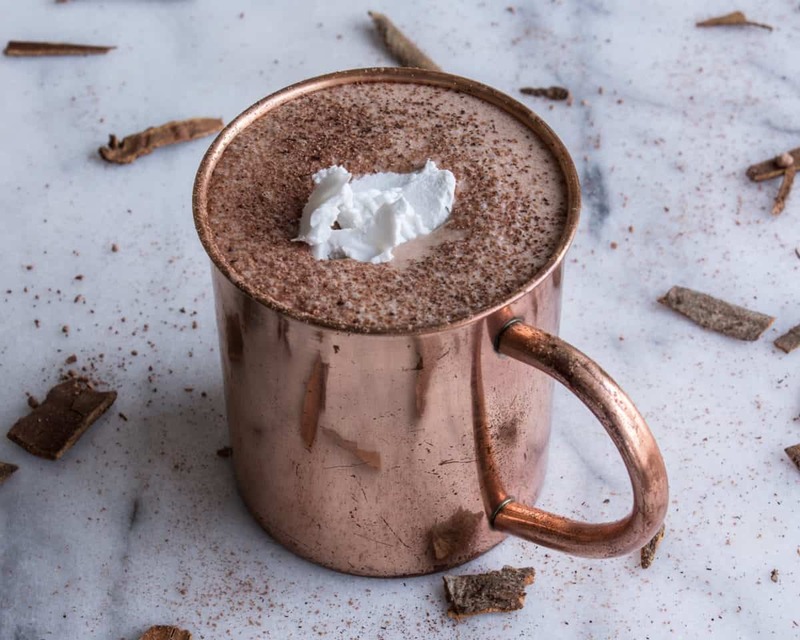 Optional: try adding whipped coconut cream or sprinkling cacao, cinnamon or raw vanilla powder on top of your hot chocolate to take it to the next level.